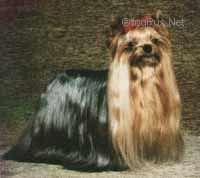 MY PRECIOUS CLIDE - World Pedigree DataBase Yorkshire Terrier, Yorkshire terrier Pedigree DataBase. Titles: CH WW, INT, GER, NET, BEL. CH WW, INT, GER, NET, BEL.